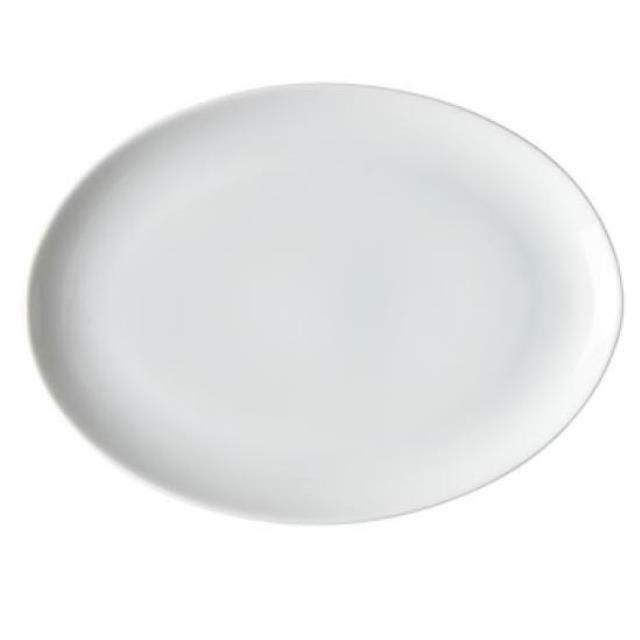 Plain white porcelain platter is perfect for buffet or family style service. Low profile rim allows more serving area. Measures 14 1/4" long x 10 1/4" wide. * Please call us with any questions you may have about our coupe platter white 14 inch rentals/sales in State College, serving Central Pennsylvania.